Buy this Honey Manuka at RM 77.45 (20% off retail) when you become a member of NewLife International. Manuka honey has the unique flavor, texture and aroma, and it’s produced from the native Manuka bush which grows in the beautiful Bay of Plenty region, New Zealand. History tells us honey has been used for medicinal purposes for thousands of years. 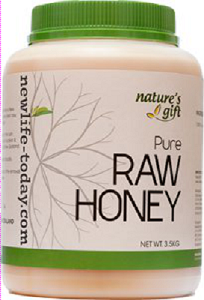 Newlife Manuka Honey is 350gm. 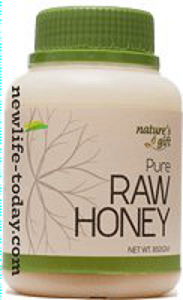 NewLife Manuka Honey has antibacterial properties which could be used to fight common disorders. Over 90% of people with ulcers and gastritis (a painful inflammation of the stomach lining) and 50% of dyspepsia (indigestion) sufferers are infected with a bacteria called helicobacter pylori. NewLife Manuka Honey can also fight the bug effectively and naturally, without the side effects which antibiotics produce. Manuka Honey has been valued since Egyptian times for its healing properties on wounds, burns and skin ulcers. It is the only honey known to have medicinal values. Its content interacts with enzymes to make it both antibacterial and antifungal. The flower, which the bees thrive in, on New Zealand’s Manuka Honey, which is more commonly known as the tea tree, has an extra antibacterial action. For stomach problems, one dessertspoonful of Manuka Honey should be taken four times daily before meals. There should be an improvement in approximately eight weeks. A clinical trial reported that there were significant reductions in the duration of diarrhea caused by bacterial infection when honey was used as a rehydration fluid given to infants and children that were admitted to the hospital. There was enhanced antioxidant capacity when honey was used, with a decrease susceptibility of heart lipid peroxidation. Honey was found to be more effective than dextromethorphan (cough suppressant drug) in improving sleep and cough score in children aged between 2 to 17 years old. The presence of natural hydrogen peroxide and flavonoids in honey interferes with platelet aggregation and blood coagulation, thus interrupts the thrombotic progress of atherosclerotic disease. For stomach problems, take one dessertspoonful of Manuka Honey, 4 times daily before meals. Antibiotics are used to kill or inhibit the growth of infection-causing bacteria. However, antibiotic treatment may impose adverse effects in some individuals. There may be cases whereby the bacteria become increasingly resistant to the antibiotic, meaning that the particular type of antibiotic is ineffective anymore in treating the condition. Moreover, antibiotics will disrupt the balance between the good and the bad bacteria in the gastrointestinal tract and diarrhea may be the result. New Zealand doctors have discovered an alternative to antibiotics, which is Manuka Honey. Manuka Honey fights the bacteria effectively and naturally, without the side effects which antibiotics produce. This special honey possesses unique and highly beneficial immune supporting function. 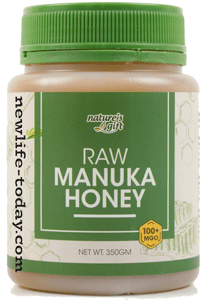 Who will benefit from NewLife Manuka Honey? Honey is suitable for people of various ages. However, it is advised that honey should not be given to children under 12 months. Before the age of 12 months, a child’s intestinal tract is not well-prepared to handle the intake of honey, which may become toxic and a potential threat to infants. For people with diabetes, it is advised to limit the intake of honey to 2 teaspoons a day.